Smart phones make it easy to take pictures. As a result, many people end up with huge amounts of precious storage space filled with images they’ve captured over a long period of time. 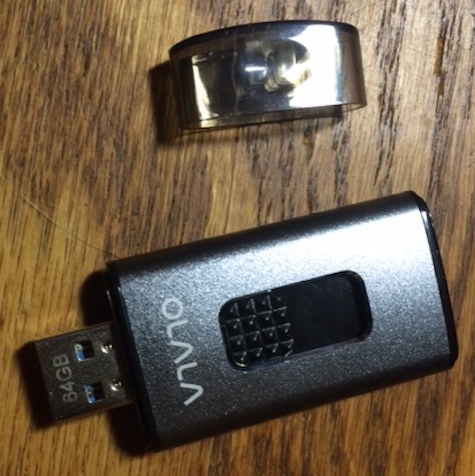 If your phone has 16 GB of storage, you will find yourself running out of space and looking at warning messages unless you clean house or use a device like this 64GB Olala iDisk to move images and documents off the phone for instant remote viewing. The Olala makes it easy to do. 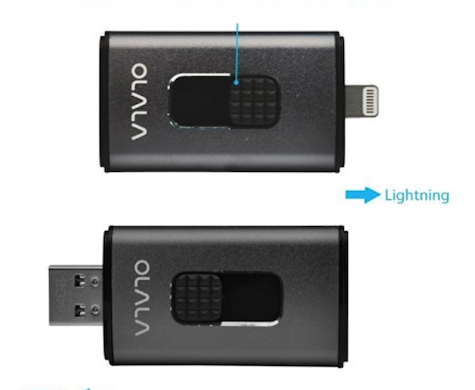 It comes with a USB3 connector (backward compatible to USB2) at one end and a lightning connector at the other end. 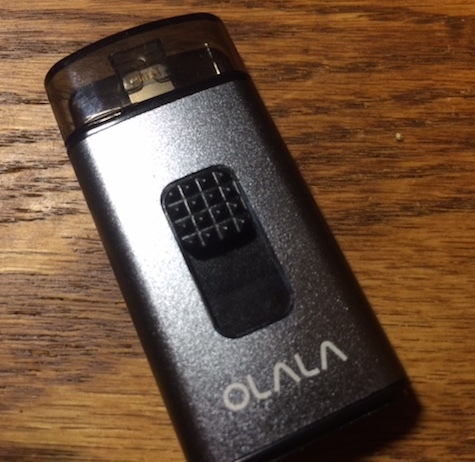 Plug the lightning connector into the phone and a notice pops up offering to install the Olala app. Once installed, the screen shows an icon for the phone and another for the iDisk. 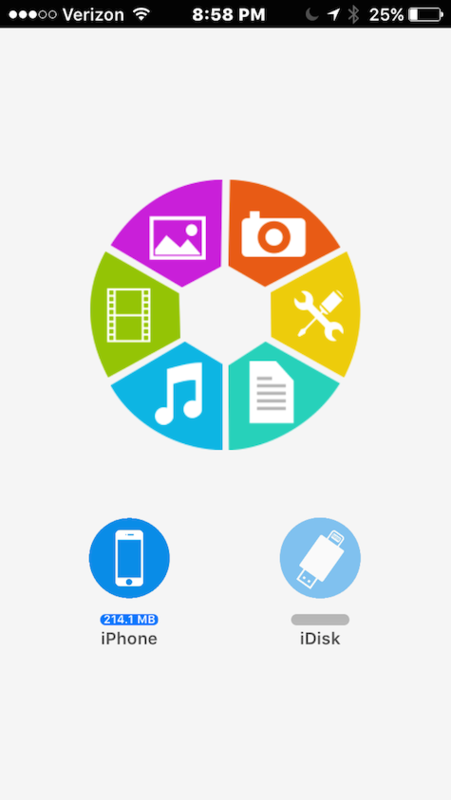 There’s also a mandala-like disk with icons that will connect you to your camera or photo library and the iDisk settings menu, where you can enter a password. 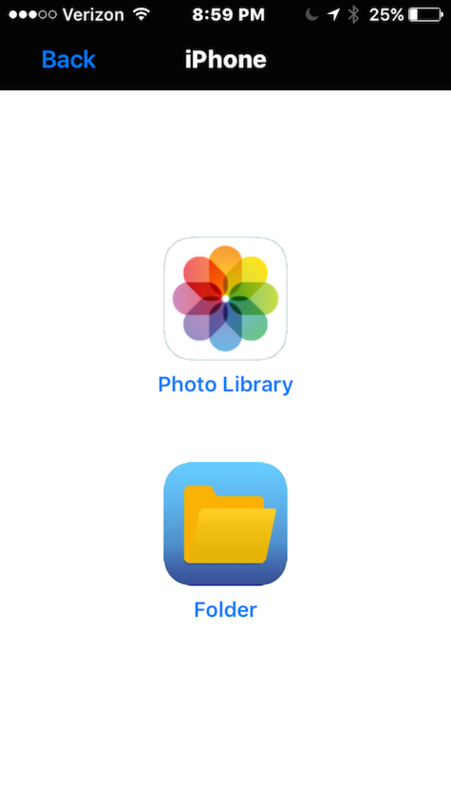 Press the phone icon and go to your photo library. Press Edit and then select any photos you want to copy to the iDisk. Follow the prompts. The transfer takes place very quickly. I moved 116 photo files in the blink of an eye. Once the files have been copied to the drive, you can delete them from the Smart Phone and use the iDisk to transfer them to your desktop or another device. There are several other strategies to achieve the same ends using iCloud sharing. This iDisk makes it easier to cart these photos around to friends and relatives without sending them via email or setting up a shared folder in the cloud. It’s only an inch wide and a little over two inches long. There are many similar devices around. This one works well.